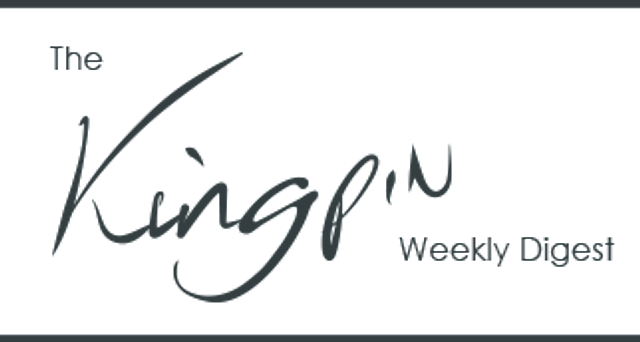 Welcome to The Kingpin Weekly Digest #20. "I too was hustled, scammed, bamboozled, hood winked, lead astray!!!" is what Ja Rule tweeted at the weekend in defence of his involvement in 2017's Fyre Festival; not something you'll read in one of Kingpin's client testimonials thankfully. To ensure client satisfaction, the team at Kingpin have been looking at what offers the most value to B2B marketers, which this week includes telemarketing to boost lead profiling and lead nurturing, what we're doing to avoid ad fraud, "audience-first" messaging and how to grow a marketing organisation. "Now is the time for you to know the meaning of Project Zeus": the words every B2B marketer longs to hear. James Taylor knows if there's one thing sales and marketing should be united behind it's lead generation, and the importance of a smooth transition of leads from one team to the other. Ad fraud and a lack of transparency has meant trust in programmatic advertising has taken a knock. Fortunately all this has transpired into people taking solid action.Programmatic expert Jordan Matthews writes what the industry is doing and what Kingpin does day-by-day to steer clients away from trouble. How a CEO would've got his "life back" and a comedian got laughs if they'd thought "Audience first"
As a B2B marketer are you thinking "Audience-first? "Co Founder James Foulkes has some stories about the potentially disastrous effects of broadcasting messaging without knowing your audience. Talking about James, he's been interviewed for a podcast by Nathan Anibaba at Agency Deal Masters. Based on Kingpin's 21+ years in the business he offers advice to anyone looking to grow a marketing organisation, making the best use of data and insights, challenging client's perceptions, hiring the right people and enabling a culture that drives success. The European Golf Tour's "Content Committee" have been planning their marketing for 2019 and they've made a video about it. Good to see some fellow professionals and their creative process...Two words: Monty's. Pythons.